Knowing where you’re going is a great way to keep you and your car away from the auto shop. If you’re traveling to a new location, have a friend help you navigate or use a GPS that provides verbal directions so that your attention can be on your surroundings. There’s a place for loud music and cell phones, but it isn’t your car. These things are distracting and can result in a not-so-pleasant conversation with your local collision repair specialist. When you’re driving, keep your attention squarely on the road ahead. Driving too closely to the car in front of you isn’t only rude, it’s unsafe. When you’re too close, it becomes more difficult to respond to the actions of the driver in front of you. Don’t be the reason your auto technician is replacing your bumper. The majority of collision repairs take place because of inclement weather. Rain, snow, wind, and ice all negatively impact driving conditions. While you can’t account for other people, you can lower your risk of an accident by being extra mindful of bad weather. Driving can be frustrating, especially when you’re stuck in traffic. Don’t let your temper get the better of you. If you’re focused on being aggravated, you’ll be less aware of what’s going on around you. Stay alert and refuse to let another person’s poor driving negatively impact yours. Are You in Need of Collision Repairs? 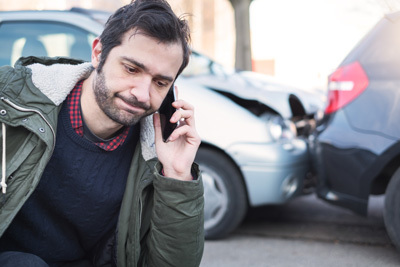 Have you or someone you know recently been in a car accident? If you need help with collision repairs, Renton Collision Center of Renton, Kent, Tukwila, Bellevue, Newcastle, and Maple Valley can help. Visit our website for more information about the many services we offer. You can also call 425.235.3281 to speak with one of our technicians or schedule an appointment.